Ben Rinnes is an easily accessible summit on the north eastern side of the National Park. 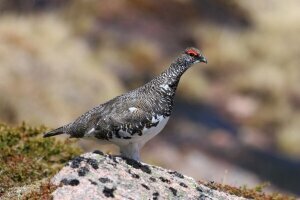 The small group of Ptarmigan on the top are probably one of the easiest to find in the area. Mountain Hare as well. Park in the pass between Ben Rinnes and the Conval Hills and follow the broad path west to the summit.